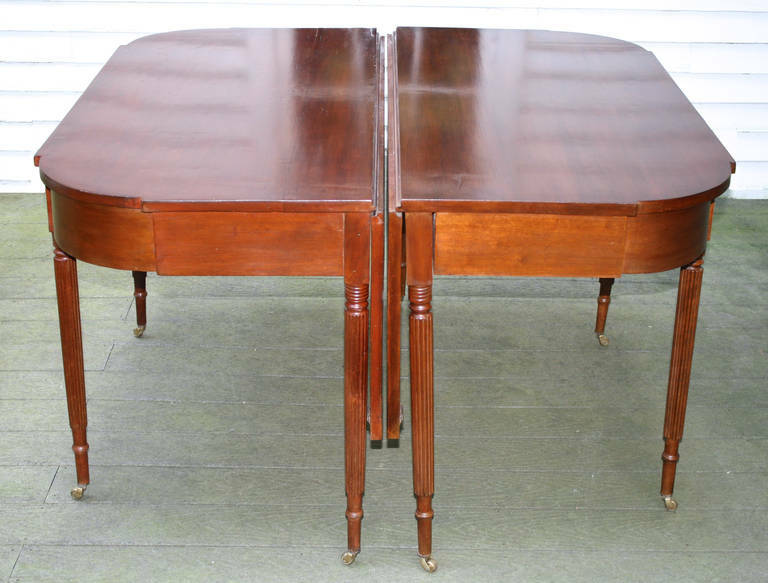 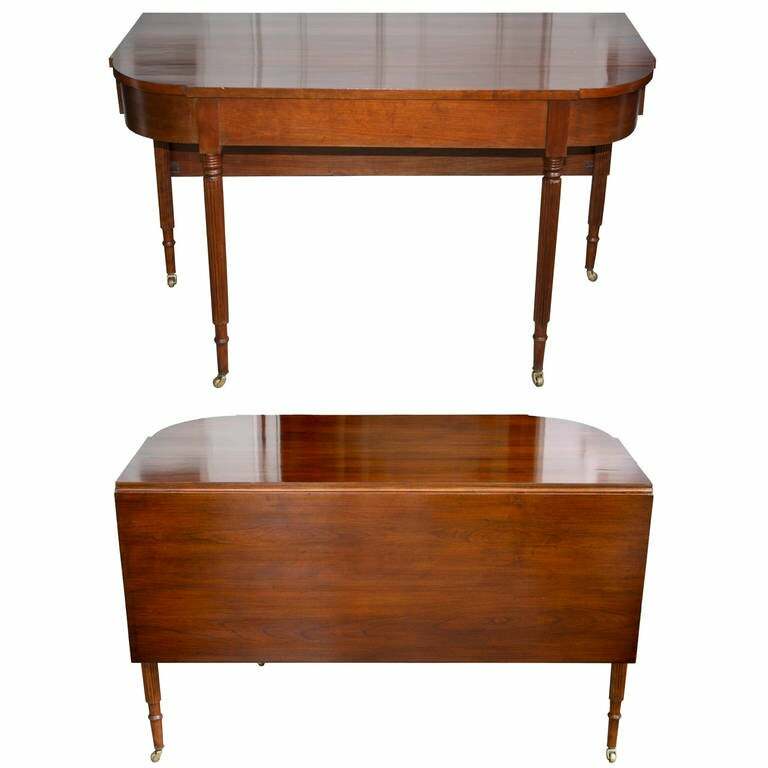 A New England Sheraton dining table in two parts, generously seating six or up to eight, if needed. 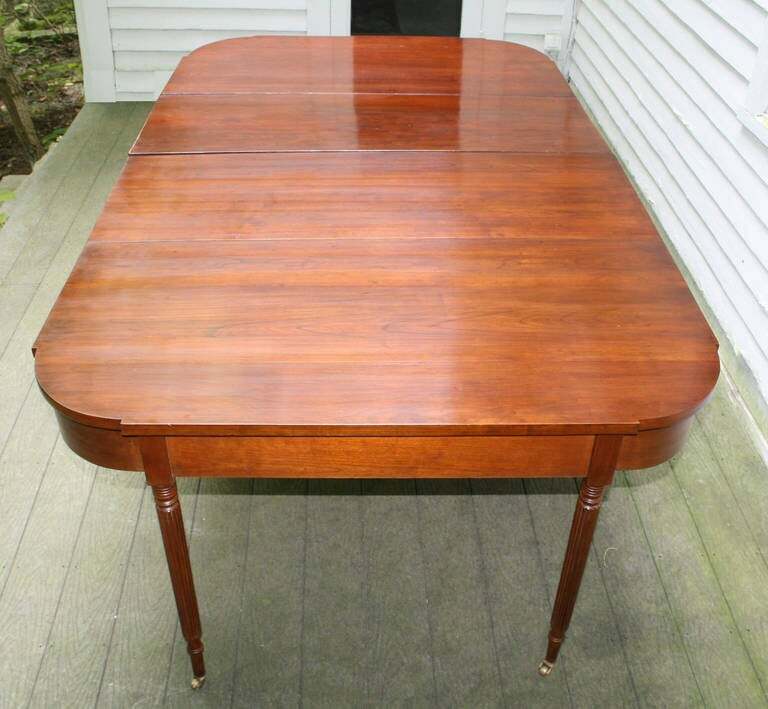 Of Connecticut or Rhode Island origin. 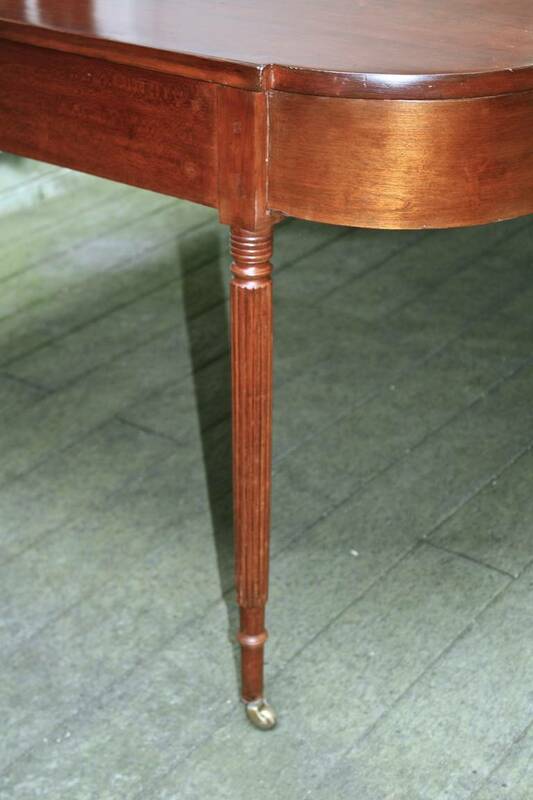 Recessed quarter-round cut corners, veneered friezes, with eight very finely readed legs; including two that swing for drop-leaf support. 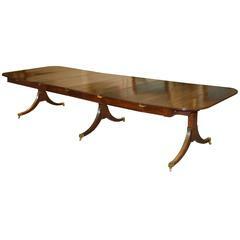 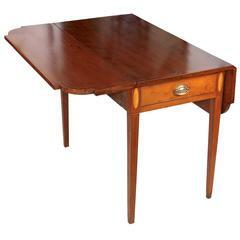 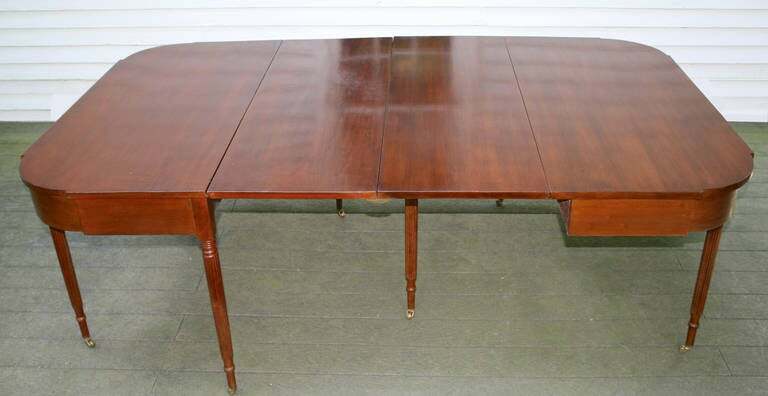 An 18th century period dining table, with both leaves up and joined by brass clips. 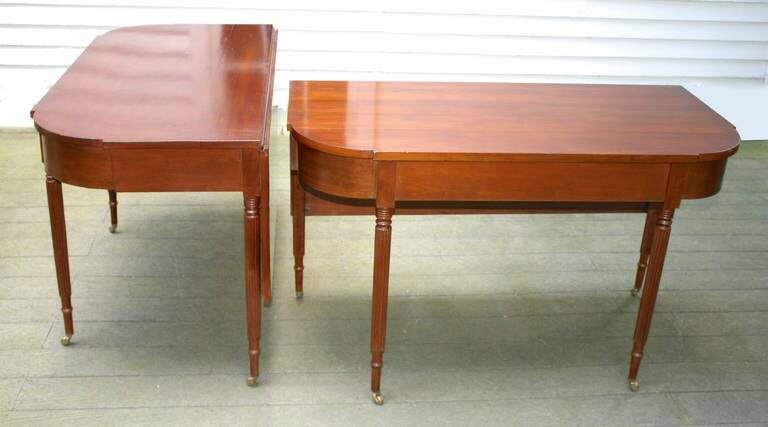 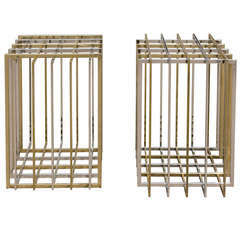 OR the two parts can be separated (leaves down) for use as a pair of console tables, with drop leaves against the wall. 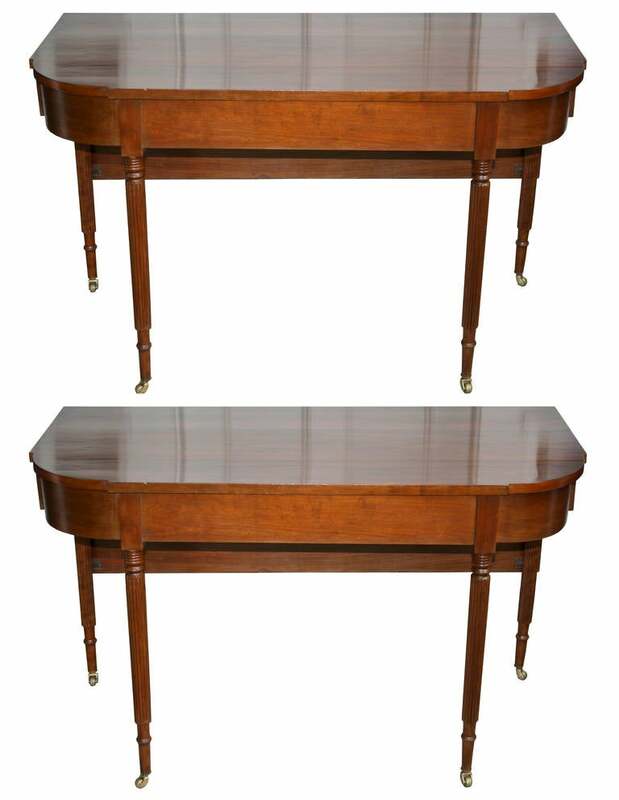 Each console measures 48" wide x 24 1/2" deep. 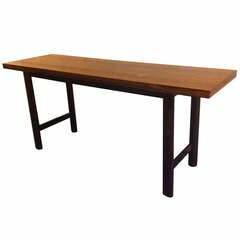 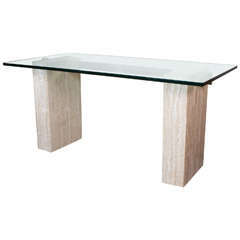 This can be an ideal 'auxiliary' dining table; usable when, as or if needed. 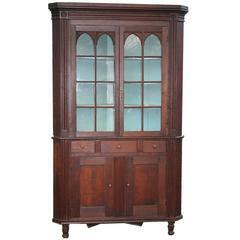 Structurally sound with reasonably expected old repairs and skilled restoration. 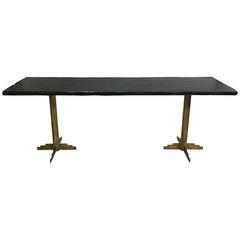 Caster cups and/or felt pads installed inconspicuously atop swing leg support beams, may be necessary to insure proper leveling of the brass clip-joined leaves. 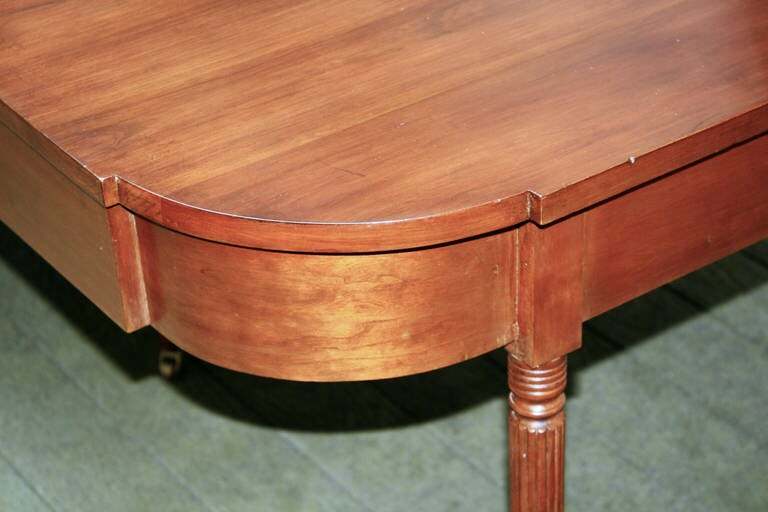 Bookmatched rosewood top on mahogany base. 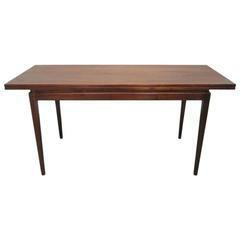 Top opens to become a dining table that seats six.